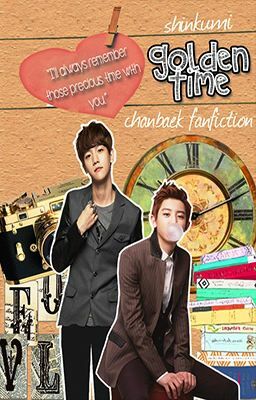 [chanbaek fanfic] "I'm staring at nothing in particular. People are passing by in front of me but I never looked at them. My mind is blank. Music is playing in my headset but I didn't appreciate it. Time is running but here I am, ogling and idling. I have nothing to do anyway. I'll just waste my life here in this place and care for nothing. 'Til my eyes landed at you. Yes, you with that smoldering black almond-shaped eyes, plum lips and tousled grey hair. You with long and skinny legs. You with that unbelievable height. You with a laugh that reverberated in the vicinity. You with the eyes that wrinkles when you smile or laugh. You with the constant slapping in your thighs when laughing is not enough. While looking at you, only you, it's like I don't want to waste my time here. I want to spend my time with you. It's like my dull time became golden, all because of you.